The Tragedy Assistance Program for Survivors (TAPS) offers compassionate care to all those grieving the death of a loved one serving in our Armed Forces. Since 1994, TAPS has provided comfort and hope through a national peer support network and connection to grief resources, 24 hours a day, seven days a week at no cost to surviving families and loved ones. To make your gift in memory or honor of a loved one, use our tribute gift donate form. Please provide the street address on file with your credit card. Are you a Military Survivor? 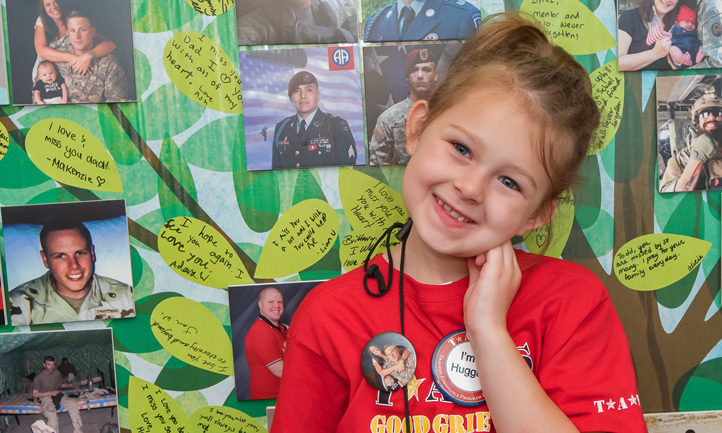 No matter how large or small the gift, each donation makes a difference and provides surviving military families with connection and healing. The Tragedy Assistance Program for Survivors (TAPS) is a not-for-profit organization and is not part of, or endorsed by, the Department of Defense.